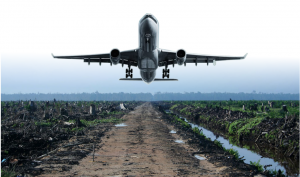 biofuelwatch | UPDATE: Dangerous aviation biofuels plans rejected! The International Civil Aviation Organisation (ICAO) Member States rejected plans for 50% of aviation fuel to be supplied by biofuels by 2050. This is due in no small part to the letter opposing these plans co-ordinated by Biofuelwatch and signed by 96 civil society organisations from across the globe (see below), as well as a petition co-ordinated by Rainforest Rescue and signed by over 180,000 . Instead, the ICAO have only agreed that conventional jet fuels should be replaced by “sustainable alternatives” to a “significant percentage” by 2050. The opposition to the plans generated significant news coverage from a number of global news outlets and industry bodies. We’re glad the ICAO has showed a modicum of sense on this issue. This is a significant victory and shows what campaigning can achieve. Congratulations to all involved! However, even if biofuels make up a small proportion of aviation fuel, this still would have negative impacts on forests, biodiversity and farming via land-grabs and deforestation. We must remain vigilant to ensure this plan doesn’t rear its head again, and to fight for a proper climate deal which regulates the aviation sector so that we can keep warming below 2 degrees. This deal cannot rely on biofuels nor offsetting, but must limit aviation’s growth and introduce a fuel tax appropriate to the contribution aviation has to climate change (5% of current global emissions, projected to rise to 22% by 2050).